Orange County International Raceway 100% Cotton T-Shirt Grey 0052G - California Car Cover Co. 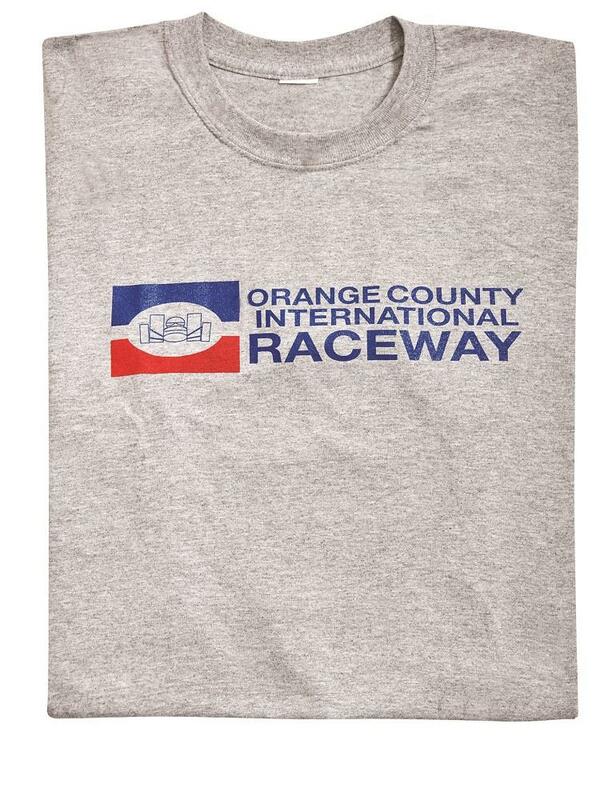 The Orange County International Raceway t-shirt is made of 100% cotton and available in grey. 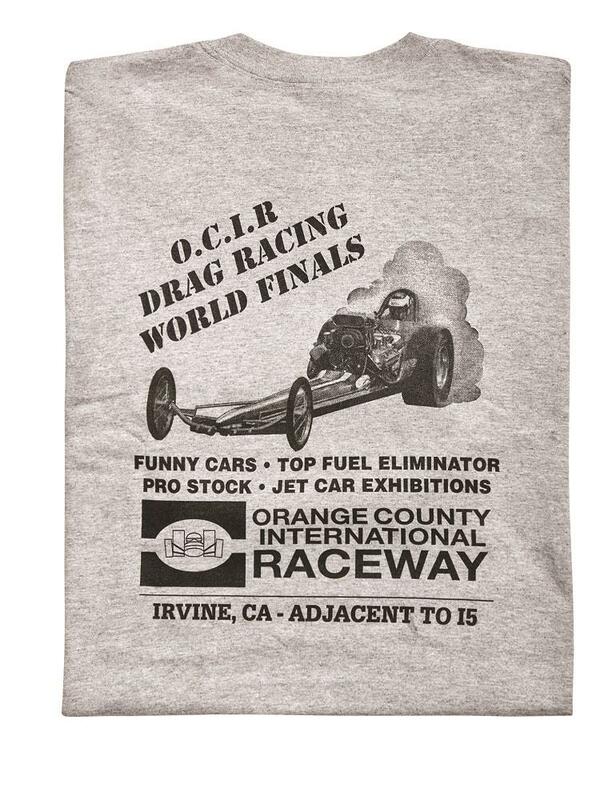 The raceway logo is silkscreened across the front and on the back the specific race of the O.C.I.R. Drag Racing World Finals. Available in sizes medium through 2XL.